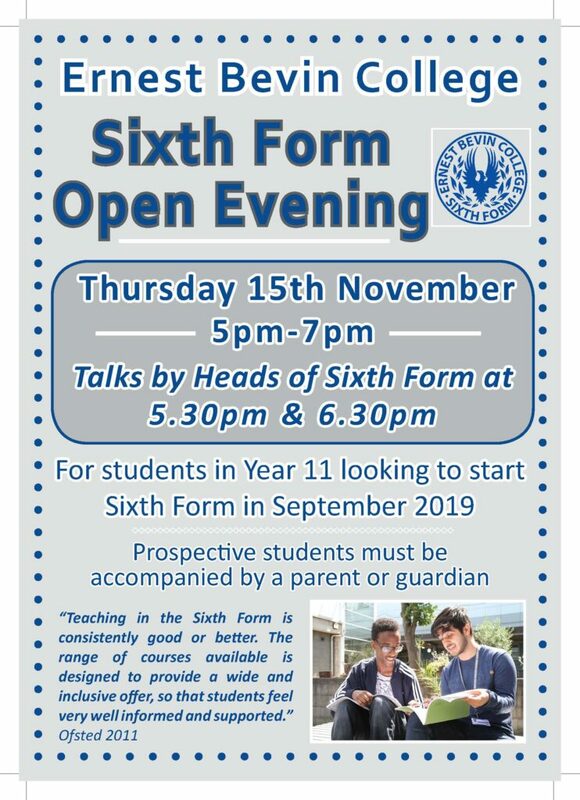 Year 11 students looking for a place to start in the Sixth Form in September 2019 are invited to attend the Ernest Bevin College Sixth Form Open Evening on Thursday 15th November from 5-7pm. Please come with an adult. There will be tours of the college and a chance to discuss course options with Department Staff. The Heads of Sixth Form Mr Mason & Ms Young will give a presentation at 5.30pm & 6.30pm. Information and application forms will be available to students at the Open Evening.